For a floor that’s a work of art, consider parquet flooring. Wood parquet flooring has been used for centuries in finer homes around the world, and can be in your home today. One concern you may have is how to repair parquet flooring after you’ve had it awhile. That’s manageable so shouldn’t stop you from installing this beautiful floor. Parquet flooring is wood flooring that has an inlaid pattern in it. This type of flooring is quite extraordinary in that it is often found in older homes in which the inlay work was done by hand. This type of wood flooring allows for detail and intricacy. It’s one of the most difficult flooring type for someone without the skill and training to undertake. Nonetheless, it is an amazing beautiful piece of art when it’s finished and adds value and an unparalleled beauty to any home or business. Until a few years ago, anyone who had wanted to give their home a vintage look, the first thing they would opt for would be parquet flooring. Such is the class and charm it offers, that it was hard for anyone who can afford it to resist it. Understandably, the cost for this kind of flooring remained on the higher side. However, this is a thing of the past now. Everything has changed with the arrival of advanced printing machines and design software. You can buy pre-made parquet squares that make a simple pattern installation possible by a novice do-it-yourselfer. Parquet flooring is often used today in homes and business that are designed after older homes as well as in brand new homes by individuals with a passion for detail and character. It has been made so simple that anyone with a basic understanding of how to do flooring can buy some of these patterns and try their hand at it. They come with clear instructions and hence, there is very less chance you would go wrong if you are paying attention. Parquet flooring can be made from a wide range of wood types including oak, maple, cherry, walnut, beech, and birch. It is laid in a pattern that can be virtually anything like ornate stars, a simulated carpet patter, a simple pattern of rotating pieces of wood, or even a basket weave. Often, the various types of flooring can be stained in different colors to better enhance the design and enhance the pattern’s appearance. A protective coating or finish can be placed on top of parquet to keep the wood in superb condition. Once laid and coated, the parquet flooring can last for a considerable amount of time. Imagine having a vintage feel to your home that too without having to shell out huge amounts every other year or so! Exciting, right? Try out a parquet flooring pattern soon! It’s available in a wide array of colors and can be laid many different patterns, limited mostly by your imagination. You’ll find that it is often easy to find in a lumber yard, home improvement store that carries wood flooring or you can purchase it throughout the web. It is wise to look at several options before committing to one choice as there are many to choose from. Often the patterns that are more complex should be completed by a professional, but a handy person can lay parquet flooring on their own. 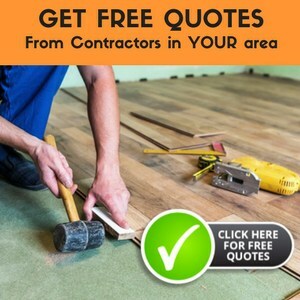 If you currently have parquet wood flooring and are looking for information on how to repair parquet flooring, the process is relatively simple. If you have missing pieces in your wood parquet flooring, you need to remove a piece and take it to the local home improvement store, or better yet the lumber yard, that sells wood flooring products. You want to find the best match in color and grain to use in in the repair. When the piece of wood is cut to the right size and shape, use a polyvinyl glue to hold it into place. If you have dents or scratches in your parquet flooring, you should use a simple wood filler to fill in the damage. Finally, you need to sand and refinish the flooring to preserve it. Replacing the parquet flooring was not such a simple task a few years ago. But, all that has changed quite fast. Parquet flooring is quite beautiful. For those who would like to try their hand at installing this type of flooring, it won’t much problem if you have the tools, some skill, and lots of patience. If not, look for a professional in parquet flooring to handle the job so that it is absolutely amazing. You will surely find professionals in your area if you ask around. Better yet, use the internet to find parquet flooring experts in your area. Could it damage floor? Thanks for your advise in advance. I do not recommend using a steam mop for any type of hardwood flooring. My parquet floor is popping up in a couple of places. How can I secure them back to the floor? Is this something that I can use a finish nailer for? Do you know why they are popping up? If they are popping up because of water, that problem needs to be addresses first. How do you have the pieces attached presently? What is your subfloor made of? If the pieces are damaged, you should consider replacing them although they will look different even if you get the new pieces from the same lot as the original ones. Your options for putting the originals back in place are gluing and stapling (or finish nailing). Personally, I wouldn’t nail (as in standard nail) the pieces. We have a wood parquet floor which is currently popping some tiles when it becomes very humid. It is about 20 years old. The adhesive has obviously dried up. How should I handle this? Glue them back down? Nail them? Sand some slightly to allow for expansion and allow them to float? Not sure what to do. Thanks for your time. I look forward to your reply. I would consult a professional who is familiar with the humidity in your area. It can make a difference in how you go about fixing the tiles. We bought an older log home and the kitchen and dining room have parquet flooring. It will be a shile before we can replace it and it has terrible scratches in the kitchen. I have tried every type of wood refinishing product I can find but it does not do anything to improve the look of the flooring. What can I do? Is the floor hardwood, engineered hardwood, or laminate? apply Diamond Coat Varathane Polyurethane; it might disguise the scratches. Remember to test in a small are first, best to err on the side of caution. Anyway, I would love to refinish this wood. It’s oak, but has a walnut finish. The finish is rather thin and the stain appears to be a coloration in the finish rather than the wood. (Probably why I dislike it.) I’d like to lighten it up a bit since the room is somewhat dark and we just had a vinyl patio door installed that has medium oak woodgrain on the inside. If I rent an orbital floor sander, is this doable? I did try some sandpaper manually on an extra piece and the finish seemed to come off fairly easily. The folks at HD weren’t particularly encouraging since it’s parquet, but I’m not very happy with it the way it is and don’t have a lot of money to replace it. Any thoughts? Yes, you should be able to either sand or screen the floors and then refinish them. If the color is in the finish only this should work well. My mom-in-law had a plan to lay a carpet over parquet flooring as she is slipping a lot. She pulled up a 2 square meters of beautiful dark parquet flooring and then stopped – now the carpet people say that it needs to be cemeted over to make the floor level as it was the wrong idea to pull up the flooring. She has kept all the prices pulled up..is it possible to repair and do you know people who can do this? It probably is possible to repair. Try calling local flooring stores and ask if they can recommended an installer in your area who can advise you. We removed carpet in our home, underneath, much to our pleasure parquet throughout house. We never touched it except to mop. In many areas the finish is gone and the dirt is ground in-how do I get wood clean so I can refinish(by hand, 1 square at a time)? Since I have not been able to find a stain that matches original, would it be OK to use a darker stain and just put that over old stain or do I need to strip finish off all? The old finish would need to be removed in order to stain or refinish. The excess dirt should be removed with the sanding. Then you would also be able to use whichever color of stain you’d like. Our older Parquet flooring (a very grainy oak) has a very bad scratch about 4 feet long and about 1/8″ wide and about 1/16″ to 3/32″ deep. It goes both across the grain and with the grain. Any ideas on how to repair it? No one seems to sell this any more. It’s a grainy oak and all HD sells is Birch.